Watson went to Boston earlier today to take on students from Harvard and MIT in a friendly game of "Jeopardy!" At last week’s Information On Demand event in Las Vegas, we heard a lot about how the Watson technology is starting to permeate the marketplace. There was much discussion around the use of Watson by Seton Hospitals using the new IBM Content and Predictive Analytics for Healthcare solution, and also about the continued expansion of Watson into other industries. 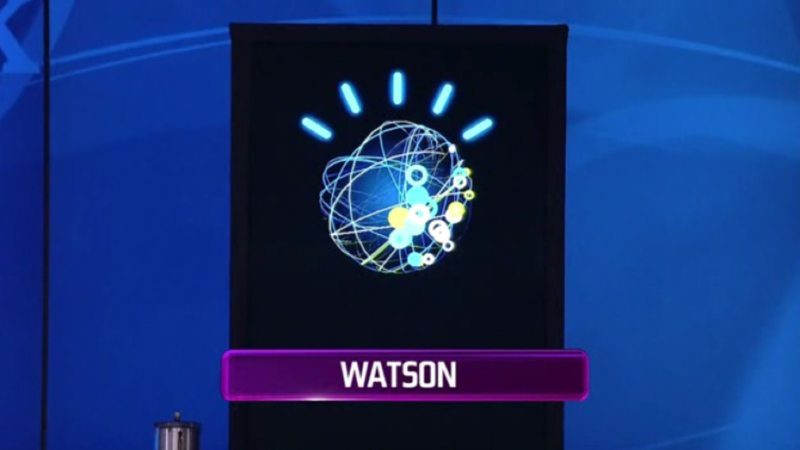 Today, we learned that IBM is headed to Harvard with Watson. Not to go back to school, but to present a Watson symposium with the Harvard Business School and the MIT Sloan School of Management. This event is bringing together some of the brightest academic minds to collaborate on the use of advanced analytics, like those powering Watson, to transform the way the world does business. The commercialization of Watson technology means that today’s students will require new skill sets when they enter the job market. As future leaders in a wide range of industries and entrepreneurial ventures, students will need to combine business skills and knowledge with advanced analytical techniques to compete successfully in the world economy. For example, when applied to banking and finance industry, Watson-like technologies can uncover hidden patterns in data that can rapidly identify market trends, and provide deep, integrated risk analysis. This provides financial services professionals a more accurate picture of their market positions, helping them better assess risk and hedge their financial exposures. “Great technology companies like IBM are converting the seemingly impossible into reality these days, to the point that it’s hard to keep up with all the digital innovations and their business implications,”said Andrew McAfee, principal research scientist, MIT. Harvard Business School and MIT Sloan School of Management are the first two business schools where IBM will co-host a Watson symposium. A team of researchers from MIT, led by Boris Katz, principal research scientist at MIT’s Computer Science and Artificial Intelligence Laboratory, contributed code to the QuestionAnswer capabilities in Watson. Harvard Business School’s Professor Shih recently wrote an in-depth case study of Watson that is will be used by MBA students in the School’s required first-year course Technology and Operations Management. It’s day 3 of Lotusphere 2011. We’re in the homestretch. But as we heard earlier this morning, there’s still a whole lot of social business to get done. Although when Kristin Lauria, VP marketing, IBM Collaboration, hit the stage at this A.M.’s keynote, she was quick to remind the crowd in the room and watching via Livestream that there had already been around 9,500 Lotusphere-related Tweets and 23K blog entries during Lotusphere 2011! There’s also been a palpable social business buzz throughout the event…a very social buzz. Lauria kicked off her introductory comments by explaining that the morning keynote would be a great one for people who are always thinking, and who are doing thought provoking things. 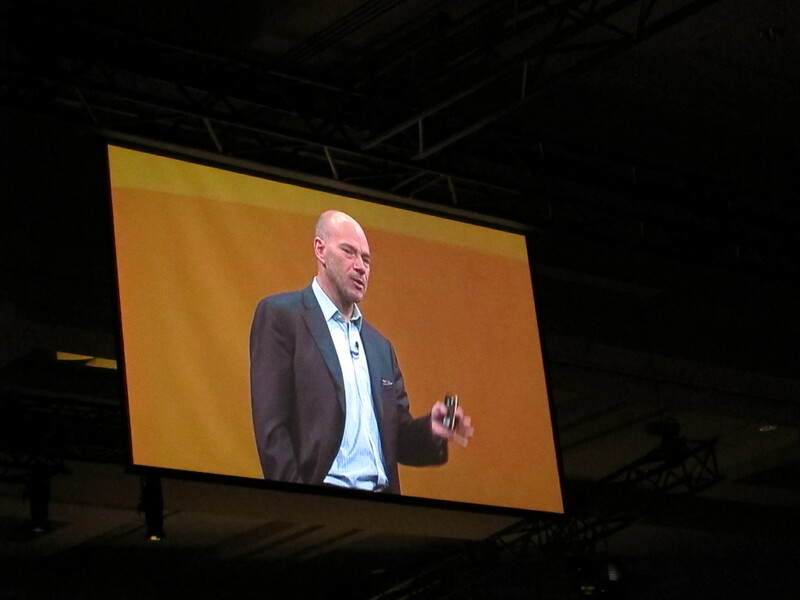 MIT's Dr. Andrew McAfee makes some predictions and forms some conclusions about social business for the Lotusphere 2011 audience on Wednesday here in Orlando, Florida. One of those people is Dr. Andrew McAfee with the MIT Center for Digital Innovation. It was Mr. McAfee who came to coin the term “Enterprise 2.0” back in 2005. With Lauria handing him the stage, McAfee joked he didn’t especially like the term “social business,” but the weather contrast between Boston and Orlando was too attractive to ignore, and that, anyway, he didn’t really care what the industry called it, that he was focused on what change and results it could bring about. He has, in fact, spent much of the last few years of his career researching and writing about it. McAfee explained he would make 5 conclusions, 1 unfounded claim, and 2 predictions (a theme of the morning session). Weak ties are strong. You’re most distant colleagues and friends are actually incredibly valuable to you. Crowds can be very wise. Markets work, can best organize and allocate resources (not perfectly, but good enough), and therefore can ascertain likely outcomes better than individual experts (He used the Hollywood Stock Exchange as an example, which very accurately predicts movie box office grosses). With more eyeballs, more bugs are shallow (with a nod to Linus’s Law). There are diamonds in the social data mine. Ex. Google searches that foreshadow movements in housing prices/sales. Being social benefits individuals. That is to say, the better your network is, the more productive you are, and the more likely you will miss the next round of layoffs! McAfee then made his unfounded claim: That being social benefits the enterprise, and is a very productive way for a company to improve its performance and competitive posture. He cited the McKinsey survey from late last year that finds companies using the Web intensively gain greater market share and higher margins (and are some 57% more effective than those who don’t). Finally, McAfee’s predictions: 1) We’re heading into an era of digital boost, amplified by these social business technologies. Our toolkit of technology has already reinvigorated productivity. And 2) There will also be a digital spread (not a rising tide that lifts all boats equally). That is to say, it’s still an investment that can separate laggards from leaders. Turning your back on social business would be a great way to become one of the laggards.